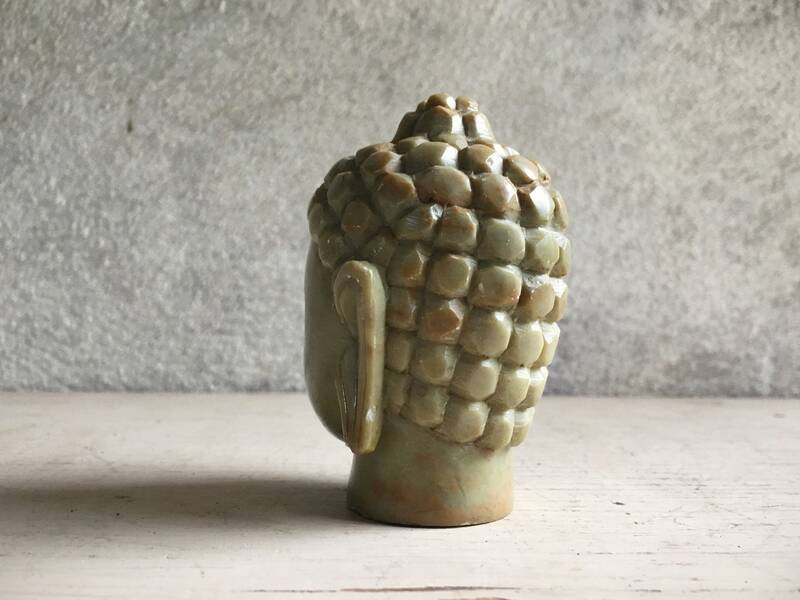 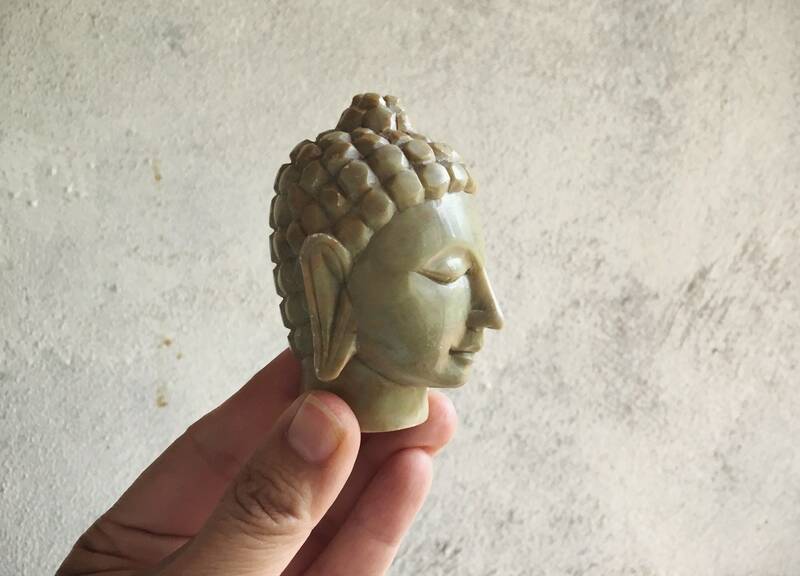 This carved green marble Buddha head came from the estate of a collector of miniature Buddhas, said to be collected from a lifetime of travel to Southeast Asia. 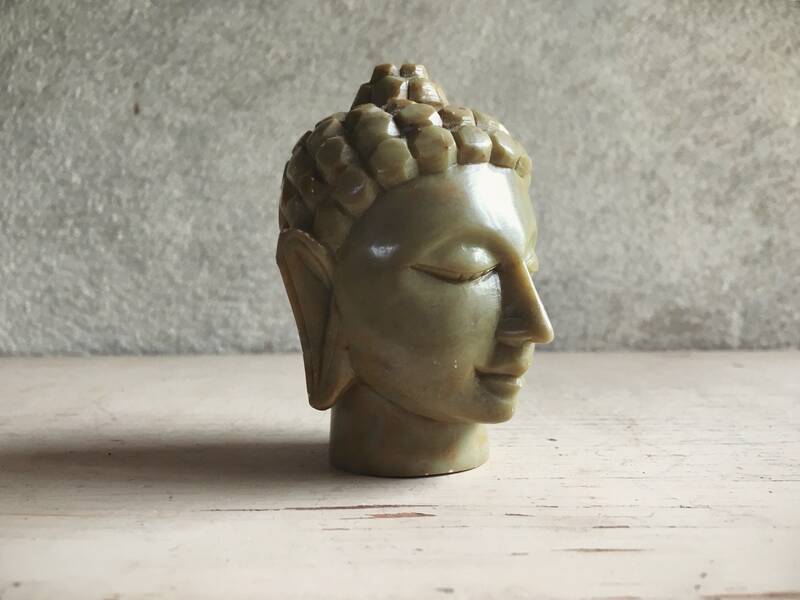 This Buddha is Thai style, and is beautifully carved, including the eyes and the long nose and long ears. 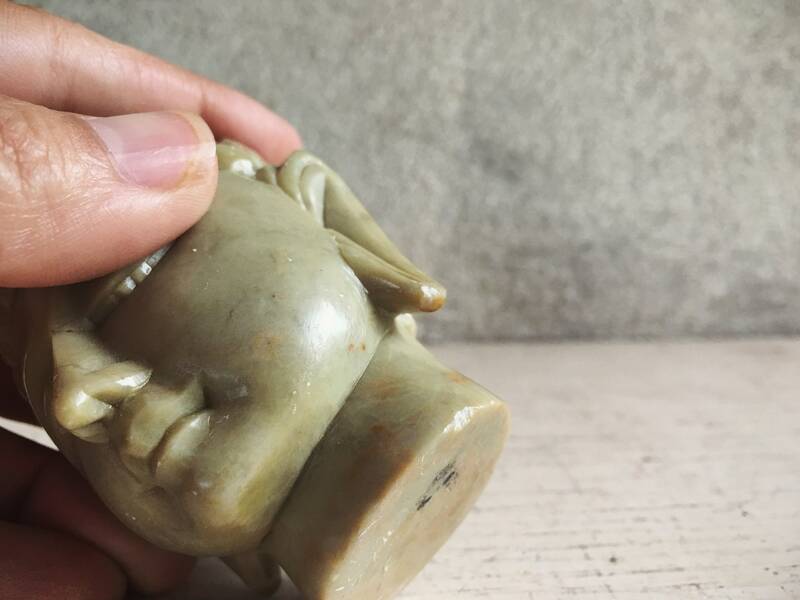 The small size makes it perfect to use as a serenity piece at a work desk, helping one to remember to breathe or serving almost as a worry stone, as it is both lovely to look at and to touch. 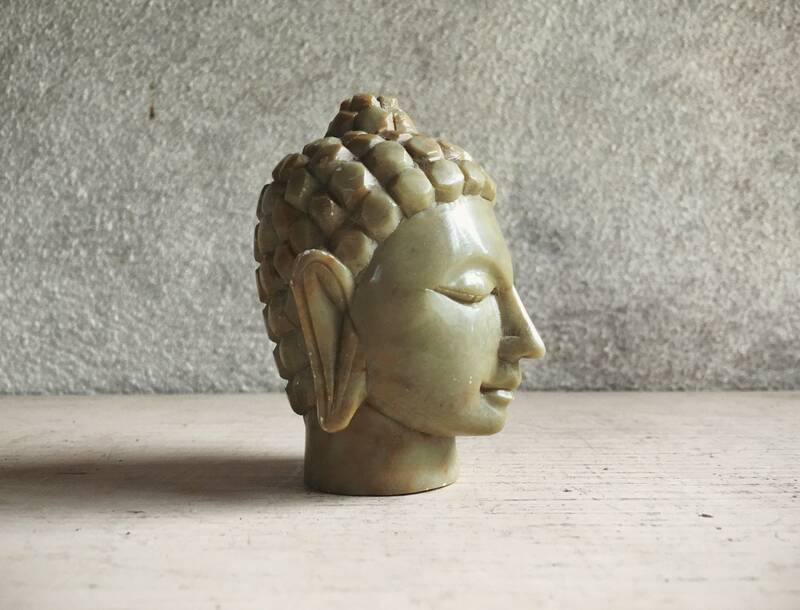 Or use it amongst other Buddha heads or spiritual icons on a home altar or shelf. 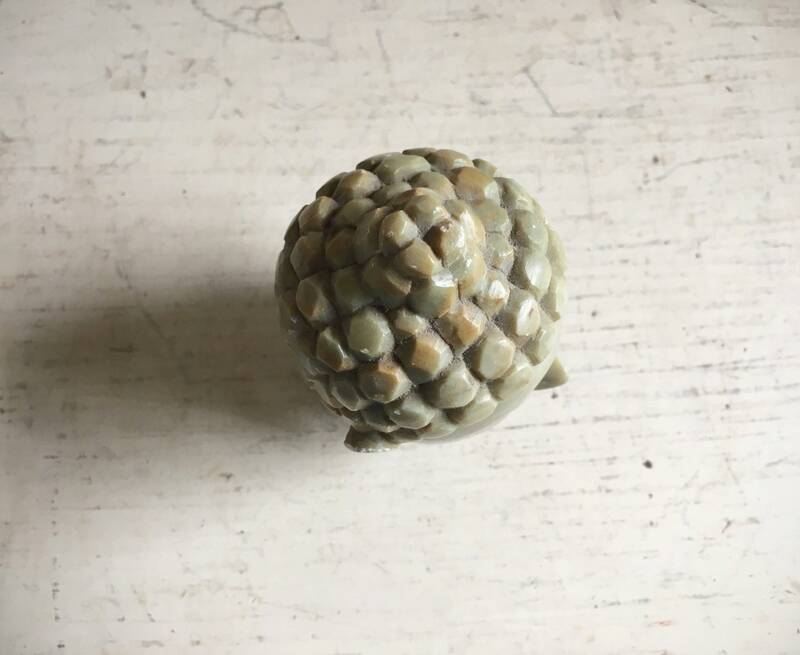 There are lovely variations in the color of the marble. 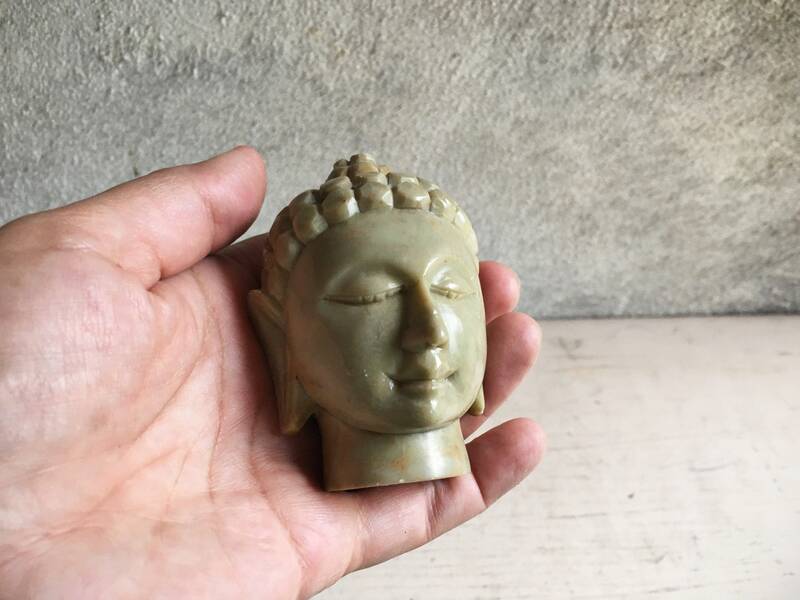 Measures 3-1/4" tall and the base is 1-1/4" in diameter although the carving extends out to about 2" in diameter. 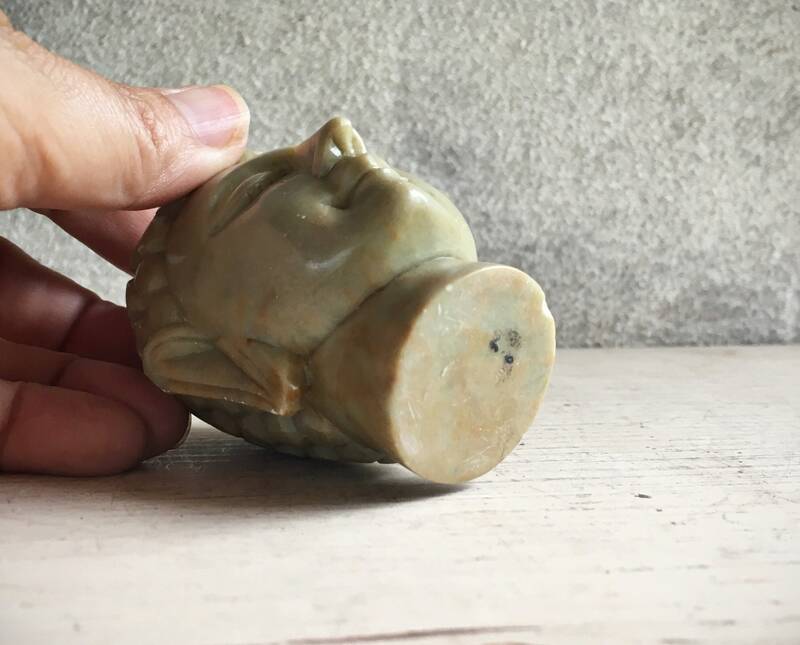 Some spots where the marble has small chinks from hitting an edge, but overall in good condition. 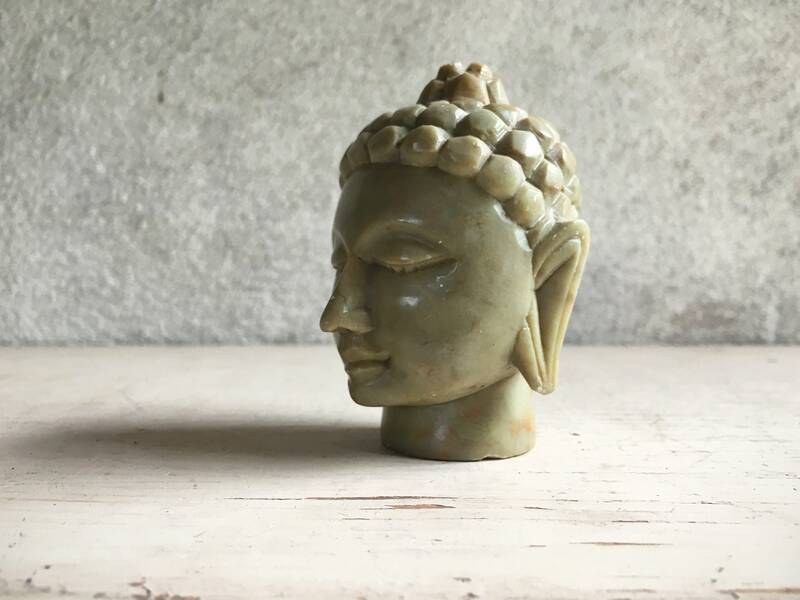 Because we can all use a little serenity.